On the show tonight we have reaction from another day of resignations – as Ukip’s the latest political party looking for a new leader – after Nigel Farage announced he’s standing down. Nigel said last month’s referendum result means he’s achieved what he set out to when he first entered politics. The music news is after 8am and a survey out today says that one in eight cars on the roads in east London do not have insurance, according to analysis which names the capital as the worst place in Britain for uninsured drivers. Jason chats to Mark Chiappino is from Churchill car insurance. The featured artist is Bill Withers who is 78 years old today. He was inducted into the Songwriters Hall of Fame in 2005, and in 2007, his song “Lean on Me” was inducted into the Grammy Hall of Fame. A report’s been published suggesting replacing T-junctions with mini-roundabouts could reduce the number of crashes involving older people. Ian Crowder’s from the AA joins Jason after 9pm. On 106.9 SFM in Kent every Saturday morning – the breakfast with Jason McCrossan. On today’s show: Kyra is in control of all the contacts and communicaitons and Jack has the news. Who is the voice – between 7am and 8am – can you guess the mystery character? After 9am – it’s pick of the number one pops- the songs we play were number on that day. Monday Matters with Jason McCrossan is broadcast on 106.9 SFM in Swale, Kent. On the show this evening – the team go through the events of the day as well a report on the job loses in Wales and after 9pm Jason speaks to Dr Jim Hoare about the North Korea he visited and knows. The featured artist is Robert Palmer and Kyra Cross brings us the latest music news. Jason McCrossan’s breakfast show on 106.9 SFM returns for 2016. On the show today Jason and the team play Who Is The Voice – can you guess the mystery voice? Play Your Celebrity Cards Right and the Celebrity Big Brother Update is after 8am with Pick of The Number One Pops after 9am. As well as that Jason will be celebrating Morse Code day by typing out some special messages using the electronic language. Kyra is in charge of the texts, tweets and calls; Jan has the news headlines and Lee has the sport. The breakfast show has a spooky feel to it today as they get ready for halloween. On the show is a Who Is The Halloween Voice? And in Tranquil Time – the poem is by Edith Wharton – All Souls; read by Gill Fraser Lee. After 8am – Jason & Kyra lock horns in our Halloween quiz – with Quizmaster Jan. In the final hour – in a slight change – Pick Of The Halloween Pops – where you choose the songs and our Halloween edition of Blockbusters. 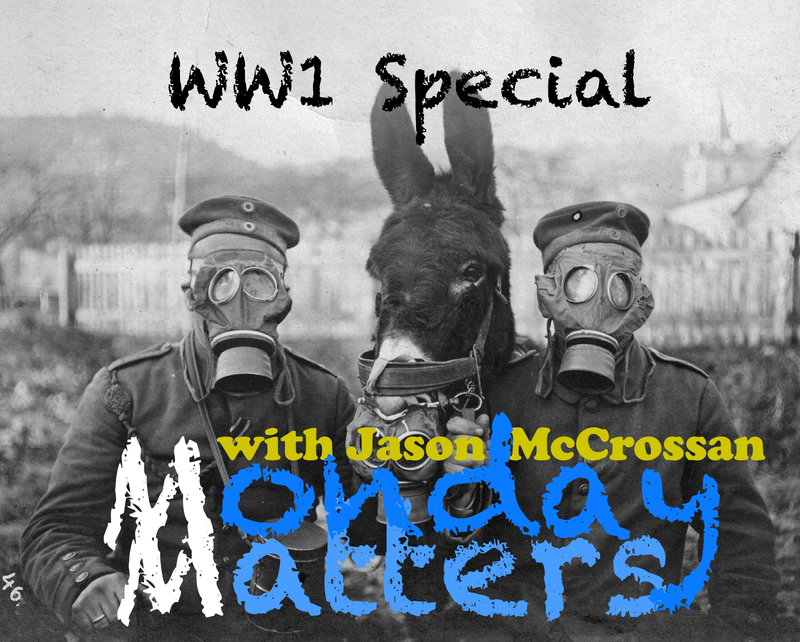 On Monday Matters tonight: Jason chats to the historian Chris Langdon from the ‪#‎Southend‬ museum about the 1st World War and the Battle of Loos – a battle which took place 100 years ago this month & where the British army used poisoned Gas for the first time. In our Night-Time Report – The Prime Minister has confirmed that 2 British citizens fighting for Islamic state have been killed by an RAF drone in Syria. However, there are claims that it may not have been lawful – nor was it approved by parliament. More on this after 8pm. Kyra has the latest music news including Kylie Minogue & Radiohead and she’ll delve into the latest new releases. Our featured group tonight: The Pretenders. Lead singer Chrissie Hynde celebrates her birthday today. In our Monday Matters tribute – Freddie Mercury would have celebrated his birthday on Saturday – he would have been 69 years old. We have music and interviews from him after 9pm.